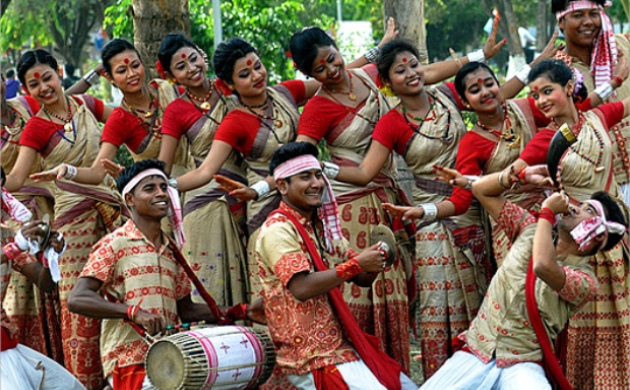 The Nabo Barsho of Bengal is celebrated with great deal of enthusiasm and energy during the mid of April. 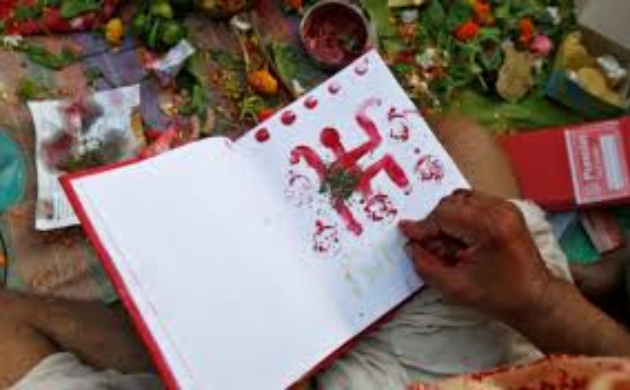 This is the day of cultural programs, Bengali delicacies, opening a new account at shops and an auspicious time for marriages. The traditional Tamil new year starts on mid-April either on 13 or 14 April, or first day of Tamil month Chithirai. 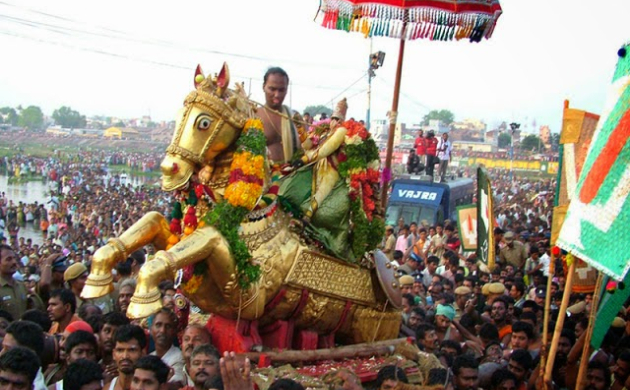 The day is celebrated in the Meenakshi Temple Madurai with breat pomp. People wish each other “Puthandu Vazthukal” which means Happy New Year and Chitterai Thiruvizha . 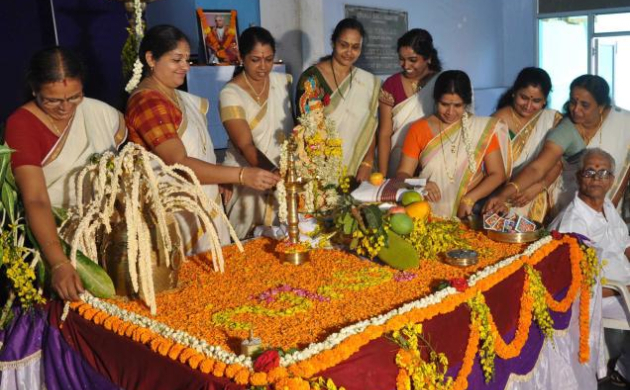 The main food of this festival is Mangai Pachadi, made of raw mangoes, jaggery and neem flowers. Assam's spring festival “Bohag Bihu” celebrated in the middle of April as the beginning season of agriculture. Assamese women clad in mekhla chador dance to Assamese folk songs and cuisine of Assam. Bohag Bihu is the biggest festival of Assam. 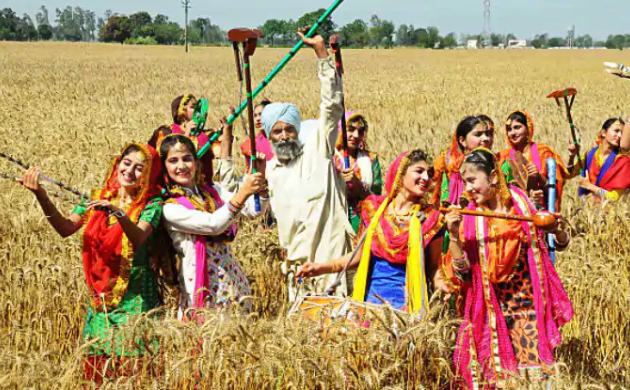 The farmers prepare the fields for cultivation of paddy, while the women make pitha, larus (traditional food made of rice and coconut) and jolpan. Vishu is similar to the New Year festivals observed elsewhere in India, usually on April 14 of the Gregorian calendar. 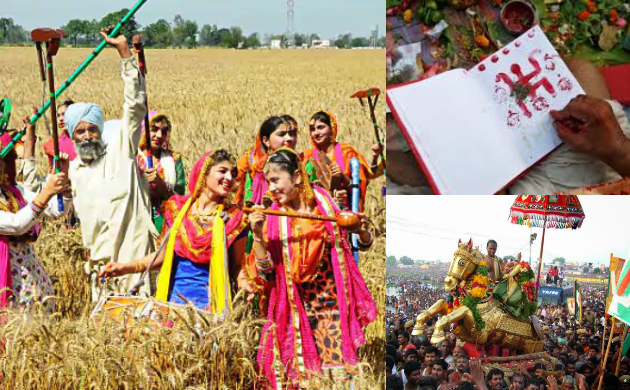 The most important event of the festival is “Vishukkani” means the first object viewed in the morning.